EDIFICIO VENTURA consists of 43 apartments, penthouses with 1, 2 bedrooms and studios, with communal pool and solarium where you can enjoy the spectacular views of the beaches of Tarifa. Located in a privileged area, in the heart of Tarifa, just a few minutes walk to the old town, surrounded by shops, restaurants and 300 meters from the beach of Tarifa. 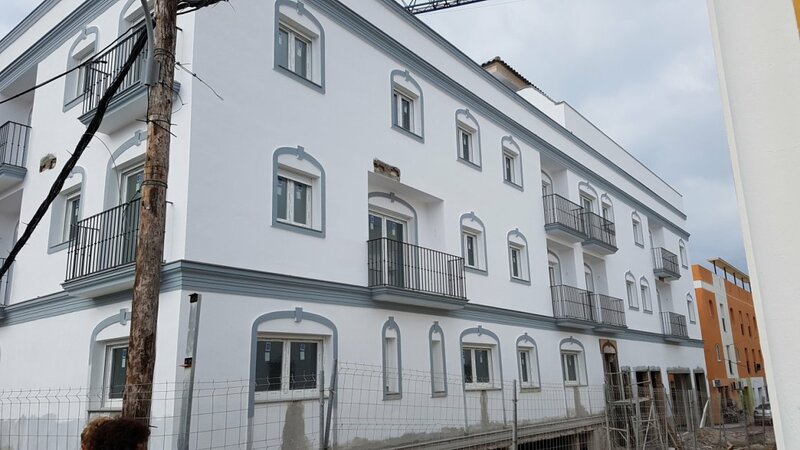 Brand new duplex penthouse located in a privileged area, in the heart of Tarifa, just a few minutes walk to the old town, surrounded by shops, restaurants and 300 meters from the beach of Tarifa. It has an area of 90.16 m2 + 45 m2 of terrace, 3 bedrooms, 2 bathrooms, living room and kitchen open to the living room. Southwest orientation. Fully furnished. Contact us for more information.